God’s AK47 is one of our best yielding marijuana strains because we have bred two amazing weed heavy weights. Jordan of the Islands has combined two amazing award winning marijuana strains - God Bud x AK47. Anticipate monster sized marijuana plants reaching between 5 and 8 feet. When God’s AK47 is given ample vegetative time it can produce yields between 6 and 10 ounces per plant. 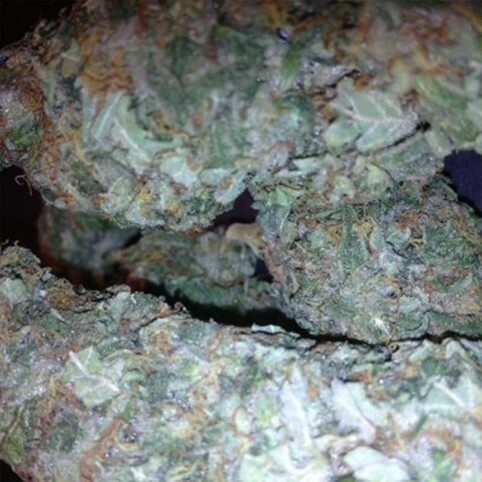 The strain has an average marijuana flowering time of 55-65 days. The dark green marijuana buds give off a yummy, skunky, God Bud smell, but are larger and shaped like the legendary AK-47. Jordan of the Islands is proud to present this truly unique tasty toke that has our most potent indica combined with a stellar soaring sativa to create an original zippy get around effect.